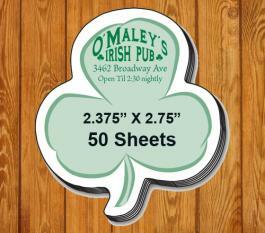 2.375 x 2.75 customized shamrock shape sticky adhesive notes – 50 sheets are affordable gifting choice for marketers who wish to acknowledge their Irish clients. 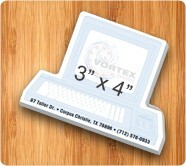 Any business information positioned over these shamrock shaped sticky note will be highlighted due to its impressive shape. 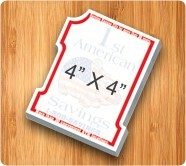 It is perfect for gifting during tradeshows, St Patrick’s Day, and many other occasions. No March promotion is complete without with these Shamrock shape sticky adhesive notes. Buy it in bulk and save on investment by availing huge discounts. 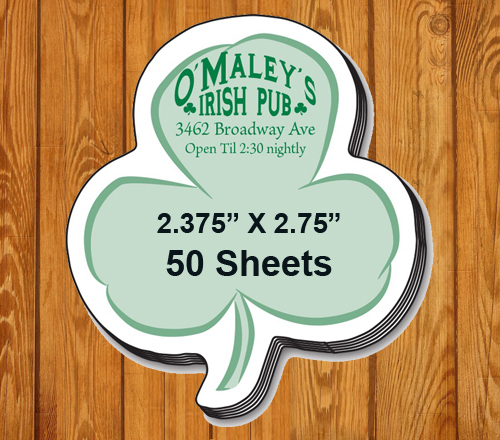 Request a quote to know discounts on bulk orders of these 2.375 x 2.75 promotional shamrock shape sticky adhesive notes – 50 sheets.